A story told entirely in a dialect of bug. A bear who identifies as a bunny. A concussed knight who struggles to recall the details of his own tale. I am obsessed with language, and the way an author chooses to tell his or her story can make or break the whole thing for me. I think little of the choice to rhyme the text or not. It doesn’t matter to me if the main character tells the story or if the entire text is recounted through an all-knowing narrator. I don’t give word count a second thought. What matters most to me are the words so carefully selected to speak forth the story. Here is a set of ten books that, for different reasons, each appeal to me for the language used to employ the story. Cat loves Girl. Girl brings home Yarn. 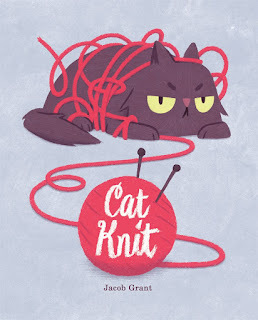 Cat and Yarn become fast friends. Girl plays with Yarn. Yarn returns changed (into a sweater). READ FOR: Sparse, matter-of-fact text gives insight to Cat’s perception of events. 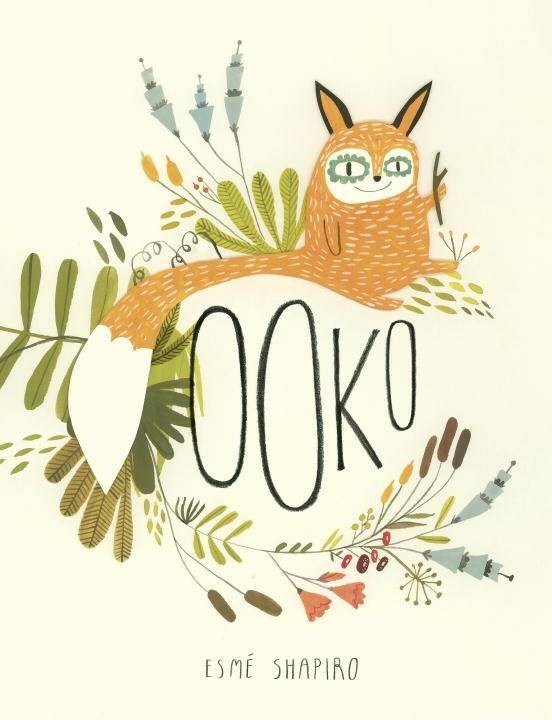 A fox named Ooko seeks to be loved by a Debbie (Ooko’s word for all humans), but finds they might not be what he’s looking for after all. READ FOR: The voice of the confident and naive narrator making names for all he observes. 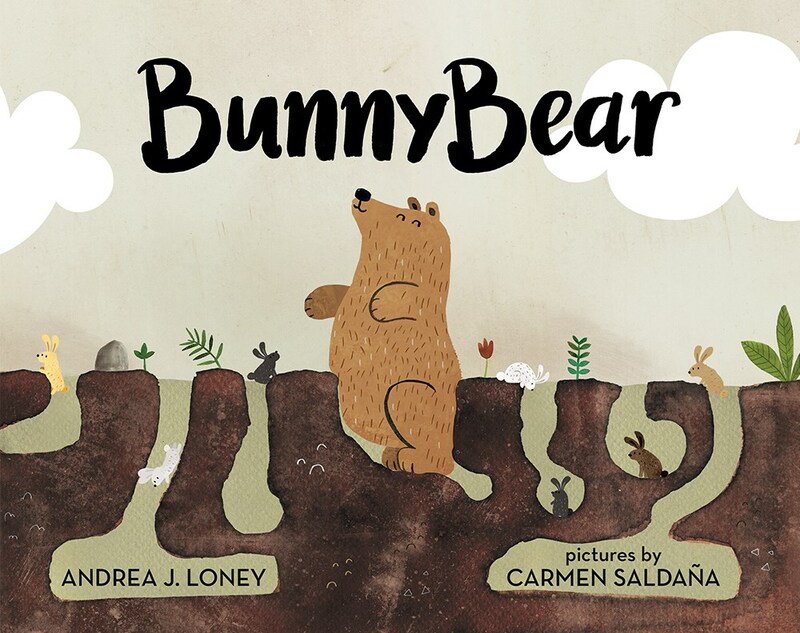 A bear identifies as a bunny and, after facing rejection from his peers, seeks company among other bunnies. 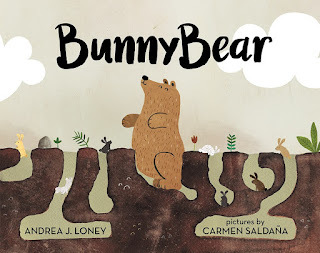 READ FOR: The wordsmithing on character names (Bunnybear, Grizzlybun) and how much weight the name can carry. 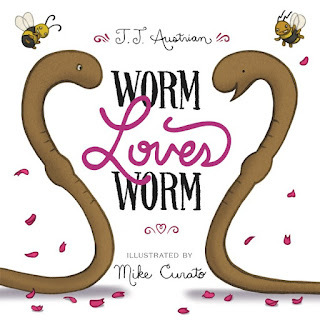 Worm loves worm, and so they decide they should be married. Their friends are worried about details, but details are only that when you love another. READ FOR: The slight change in the book’s chorus and how it gives insight into the change experienced by the supporting cast. A cat is observed by all whom it passes, each offering up a new perspective on the same subject. READ FOR: The deceptively simple text and consistent, repeated structure of each stanza. 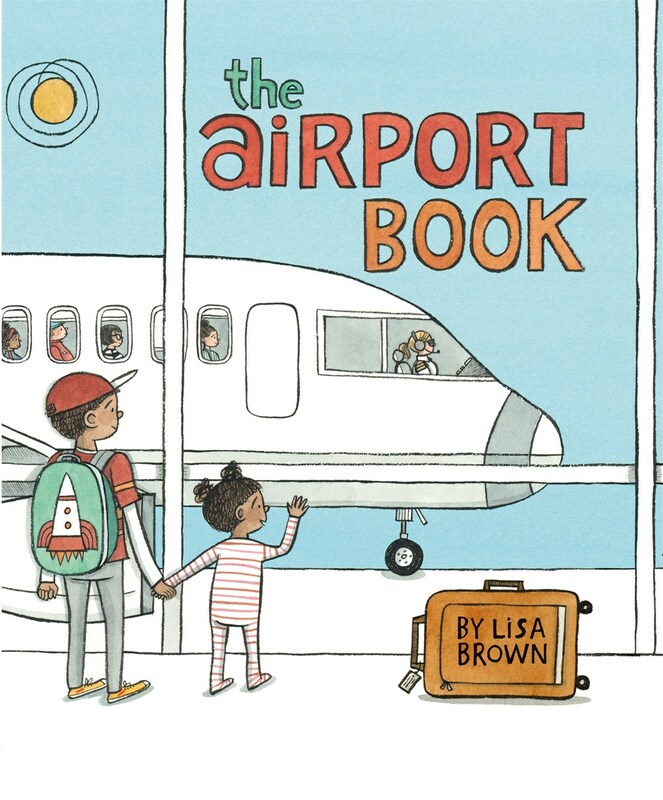 A family travels to and through an airport on their way to a new destination. READ FOR: The descriptive, straight-forward language sets a tone that while the experience may be new, there are no surprises and nothing to be afraid of. 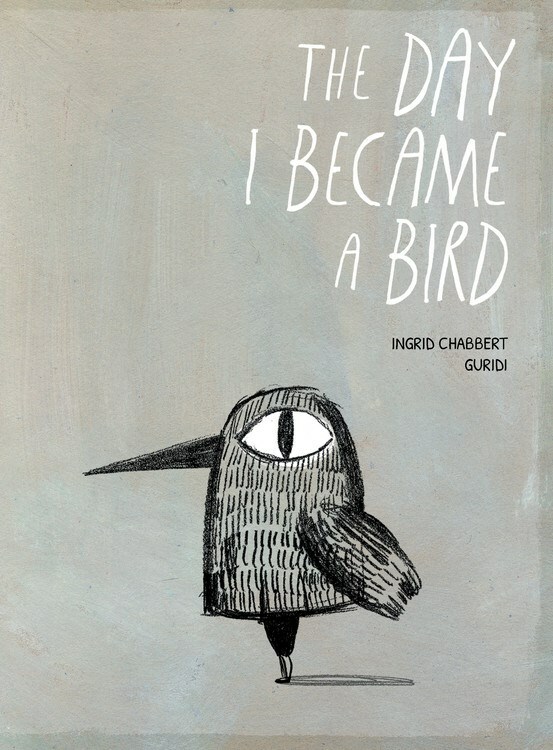 A lovesick boy constructs a bird costume to impress the object of his affection. READ FOR: The sweet, heart-spoken language, both innocent and sincere, that hides nothing before the reader. 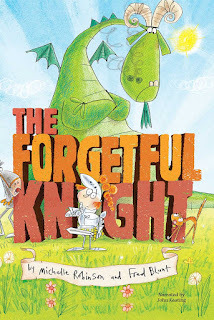 An unreliable narrator struggles to recount the story of a knight who set out to challenge a dragon. READ FOR: The fast-moving, metered text that asks a lot of questions and responds with often unpredictable answers. By order of the general, a guard is tasked with not allowing any member of an ensemble cast to cross over the gutter of the book to the other side. READ FOR: The dialogue of the crowd and the ways in which each unique voice contributes to the story. A group of bugs build a fort in the leaves of a growing flower, witnessing time pass and all of their labor returning to the earth. READ FOR: The story is told entirely through the dialogue of the characters, who, in turn, only speak in a bug language. How readers are able to understand the story is a testament to language itself. Matthew is giving away a 30 minute Skype session on a topic of your choosing. Brainstorm story ideas. Critique a manuscript. Develop a personalized recommended reading list to support your ReFoReMo experience. You name it. To be eligible for the drawing at the conclusion of ReFoReMo, please comment on this post and strive to read mentor texts regularly. Matthew Winner is an elementary library media specialist in Elkridge, Maryland. 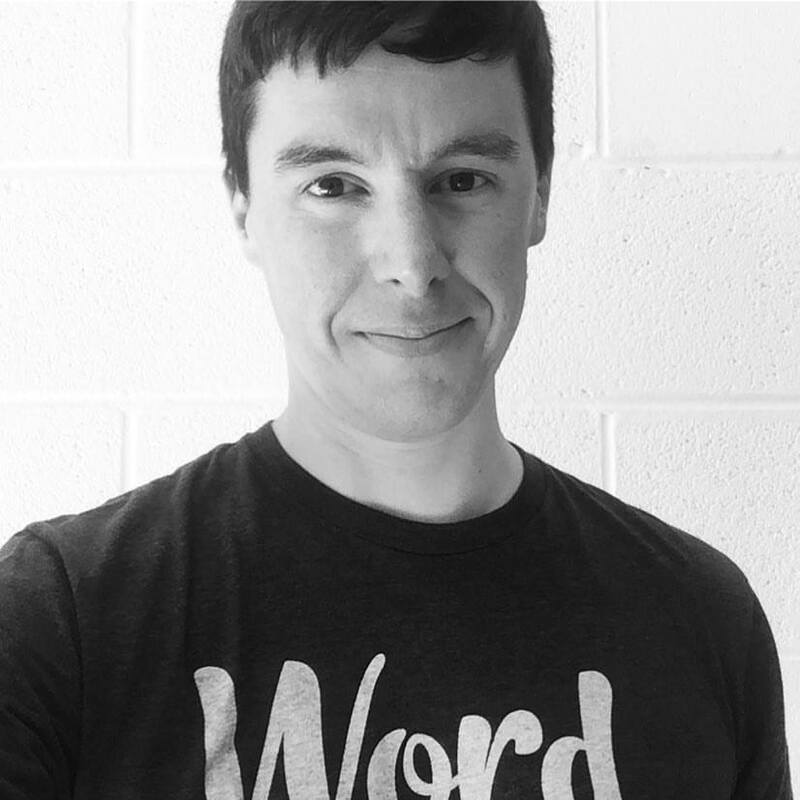 He is the co-founder and content director of All The Wonders, a children’s literature website and more, and host of the All The Wonders podcast. 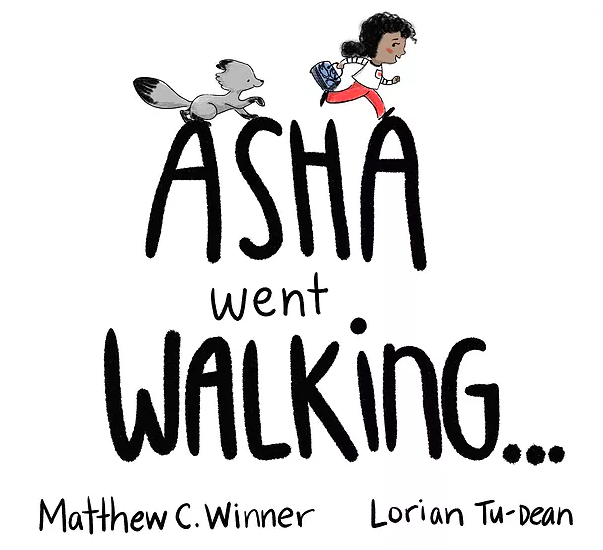 Matthew is the author of Asha Went Walking, a webcomic illustrated by Lorian Tu-Dean. Connect with Matthew on Twitter at @MatthewWinner or online at MatthewCWinner.com. Lovely choices of books for me to read. Thanks for you thought provoking post. I look forward now to studying language on a more thoughtful level. Thanks again. I've heard it said that one of the most creative things human beings do is to invent and play with language. I just read "Iz Du Tak?" And it instantly became one of my all time favorites. I love the gibberish. I'll never again be able to look at a ladder (or think about one) without giggling and saying "ribble!" It inspires me to start gibbling my worglops too. Very nice to meet you as well, Jennifer! I'm very excited by these selections and can't wait to research some new material. Thank you! Nice choices. And there are 2 I hadn't even heard of so I need to go out and find them. Thanks Matthew! I so agree that words should be wielded well! It's not because it's a "picture" book that we can shirk on the text. Au contraire! Picture books are illustrated poems, after all. Ah! The wonder that is the picture book. It is truly an art form! It's true, every word counts! Thank you, Matthew! What an amazing, fabulous prize! And post! Thank you, Matthew! Yay! Thanks for reading, Lynne! Fantastic post! I am a middle school librarian....these books are good for older kids too when teaching. There are so many 'guidelines' about word count and the like, it is refreshing to be reminded that the language of a PB can take any form and still be the most important aspect. Thanks for helping motivate me to think outside the box. There's an exception to every rule when making picture books. Happy writing! Thanks for your carefully chosen words, Matthew! As always, Matthew hits the nail on the head! Great recommendations! Aww! Well thank you, Mel! Great thoughts on these texts. I think it's easy to get so caught up in trying to tell our story that sometimes we forget to slow down and savor each word. Agreed! Slowing down to savor can be very rewarding. Loved this post with its short blurbs on which books to look for to find specific things in the craft of writing. Thank you, Matthew. Thank you for the post! Great reminder on the importance of the words we choose. Excellent book choices (some of which are new to me)! Your post is an important reminder of how beautiful our language can be. Thanks for sharing with us! Thank you Matthew. A lot to review. A thought-provoking and inspiring post.This brings us wordsmiths to a whole new level. Thank you! What?! Talk to Matthew Winner about books?! How fun would that be?! What a fascinating range of books. I can't wait to find them all. And Matthew Winner is wonderful, just gotta say! A wonderful choice of books today, Matthew! I already love so many of these and will strive to find the others that I have not read yet! Great post. Thanks for sharing your time, knowledge and love of books! 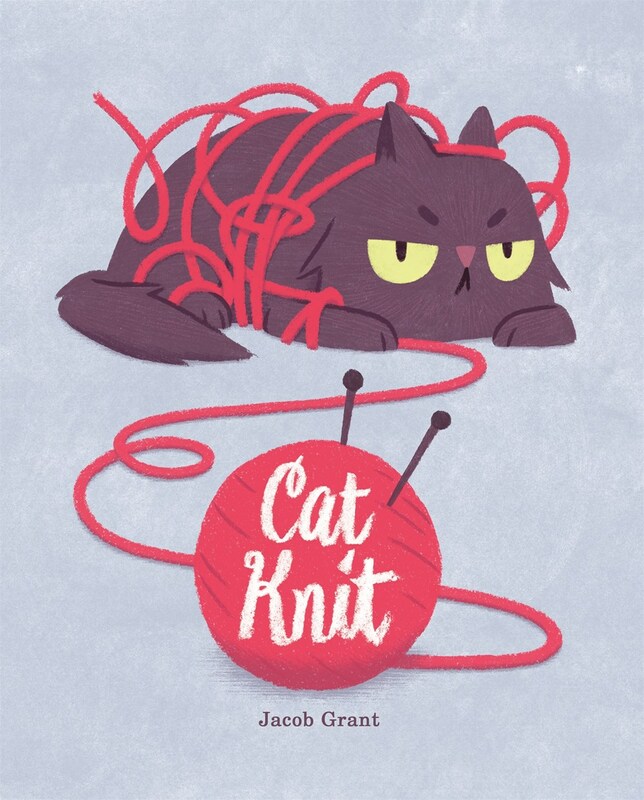 Love this list of books, especially Cat Knit. I just hope I can find these in my library. Thanks Matthew! Yes! I love that Cat thinks Yarn is a "guest." Or oh. The crushing blow of "Rup furt" in Du Iz Tak?, followed by the spread with the bird, so much larger in proportion. Those details are everything. A great list - just the right words are everything. I love this list of books....looking forward to reading these with the outlined descriptions you've provided! Thanks Matthew! Words are the colors we use as artists. The books mentioned here combine those words in amazing ways! I'm looking forward to reading this list of books, most all are new to me. Can't wait to read some of these recommendations! Thanks very much! These are great selections! We have such a variety of words available to tell our stories -- this reminds me how fun it is to experiment and play! Thanks for sharing, Matthew! I need to add "The Forgetful Knight" and "Don't Cross the Line!" to my list. Wat great variety of Querky voices! Thank you. Hi, Matthew. As a former school librarian, I am intrigued by your list. Language play is what I love best, too, about books and what I strive for in my own writing. I must admit, there are a few books today that are new to me. TY. I read THEY ALL SAW A CAT twice and one of the thoughts I came away with all ther research that went into to that book maybe not so much for the words but for the illustrations. which we all know carry and tells so much of the rest of the story. thank you for your list. The right words can make a story shine. Thanks for your insights! Matthew - I love this list and the insightful analysis of each one. This reminds me very much of your approach to books on ALL THE WONDERS, digging deeper into the text and finding exactly that which makes it sing. Thank you. Wow! I'm humbled by this post, realizing how much I can still learn. Matthew, your post shows me how confidently you read picture books, able to take away what makes them great. I'm going to keep my eye out for future conferences where you are speaking! BTW--I live in Eastern PA and our chapter is offering a PAL discount for our spring retreat at the Highlights Foundation this year and I believe PAL members have the opportunity to sell their books. If you attend, I'd love to talk to you there! Great reading suggestions and how to watch specific language choices make an enormous difference. Thanks, Matthew! Love, love, love Cat Knit... still trying to puzzle out the bug language -as an entomologist you think I'd understand it. But what fun. You are spot on in assessment in these books Matthew. Made me happy to read this post and realize I got out of them what was intended from the author and illustrator. Two of the books I have not read yet and as soon as they come in from the library, I will. Thank you for sharing this with us. Thank you for the great insight on what to watch for in these very unique picture books. I often think what a simple idea but then in the unpacking realize how brilliant the idea is and how challenging to get it just right! Thanks for the reminder that the way the author says something and the words they choose matter as much as what they are saying. Hello Matthew, I appreciate the insights. It made mre think how important words are to make each book unique. This is a wonderful post, Matthew. Thanks so much for sharing a few new-to-me picture books that play so wonderfully with words and perspective. Thank you for the list of wonderful books (some new, some already beloved) and for the succinct explanation of why the writing is compelling. This list made me smile. Thank you for your recommendation to focus on words. Many new titles to explore. Love your podcast! Thanks for sharing these books and your great insight, Matthew. Fantastic mentor text suggestions! Thanks for sharing your insight into using the "just right" words to fit the tone and message of the story. Thanks for the great reading suggestions! I also appreciate the focus on language. I've read a few of these, but can't wait to re-read with the "read for" focus in mind. Thank you for the list! Matthew, I always enjoy your recommendations. Thanks so much for sharing your thoughts on these titles, a few of which I plan to read today! So much fun and so clever. I remember his webinar was OUTSTANDING. Wonderful book choices. I'm excited to check them out. Thanks, Matthew, for sharing. Thanks for the great advice! Worm Loves Worm is now one of my new favorites. These are great recommendations. Also, looks like we are neighbors. I live in Columbia. :-) I couldn't find Ooko or Don't Cross the Line in the HoCo Library system. Any suggestions on other places to look? I wasn't able to get a copy of "Don't Cross the Line" but clearly I can't let my library not owning a copy stand it my way! Love your focus on language and voice, Michael. Can't wait to read, and in many cases, reread, your book selections and think about the language & voices that caught your attention. Thanks for your insight into the importance of word choices and the fun in writing (and reading) them. Great selection of books! Thanks for sharing. Awesome list! Can't wait to read those that are new to me. Thanks, Matthew! Thank you for the great reading list and concise commentary on a strength of each story! Matthew has such wonderful insight into what makes a great picture book. We can definitely learn a lot from him. I'm looking forward to reading these books. I love Worm Loves Worm. I adore They All Saw a Cat. Can't wait to read the others! Thank you! Matthew, love your one sentence synopsis of each book. But didn't know you had your own. Is it available yet? I couldn't find it on amazon, library, or goodreads. Thanks, Matthew. Several of these, you describe as having simple, straight forward language. Good to know that we don't have to get too fancy. Thank you for pinpointing what to look for in these adorable books. I'm a huge fan of your podcast so I'm not surprised at your amazing insight :) thanks for sharing! Matthew - Thanks for these excellent mentor texts! It was great to hear you speak at SCBWINY17 as well! Love Bunnybear and They All Saw A Cat! Great post. Thank you for your analysis of these mentor texts. You were spot on with your observation of They All Saw a Cat. Great book choices. Thanks again Matthew! What a great list! Some of my recent favorite. They All Saw a Cat is magic. Thanks so much for this post! Thank you for your selection of mentor texts! Even though I'd read them all, your breakdown of what to read for helped me see them with new eyes. Wonderful post, wonderful selection, and wonderfully deep ways to analyze them! Off to the library I go! Thanks for this list and insights. Two books I had missed, so I'm happy. Also, love your podcasts. They never fail to uplift and inspire. Thank you for the mentor text suggestions, Matthew. Looking forward to reading them. Like you, word count doesn't matter much to me. It's the selection of words. 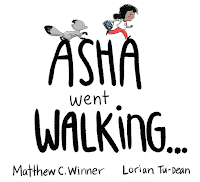 This is another amazing list of mentor texts. I love how simple text can have so many layers. Thank you! Great choices of mentor texts. Thanks for easing us into Day 2. Wonderful mentor texts, wonderful advice. Thank you! I love language too, and I am looking forward to reading your recommendations. Thank you for pointing out what specifically to look for in your selections. Being a very visual person, I especially enjoyed how the illustrations carried the story in They All See A Cat. The ending illustration reminded me of Eric Carle's Mixed Up Chameleon. I too love words and many of the books you've listed, but some are new to me. I can't wait to ead them. Thank you for all you do for children, for books, and for those of us who love children's books. I love these books, Matthew! Thank you for grouping them together. It's always interesting to see what ideas come when I read 10 stellar mentor texts at once! There's nothing better than having someone bring great books to our attention. Half of these selections were unfamiliar to me. Thanks, Matthew! Thank you for sharing the titles that sing with language. They all are great examples but for very different reasons. Thanks for sharing a plethora of mentoring texts to learn from. Thank you for your wonderful insight into these books! Such great choices and wonderful direction on what to "read for" in each. I also love what you said about writing: "words so carefully selected to speak forth the story." Thanks, Matthew! It strikes me that, as in Du Iz Tak?, Ooko invents language too, but drawing from English. Children are so brilliant with language. 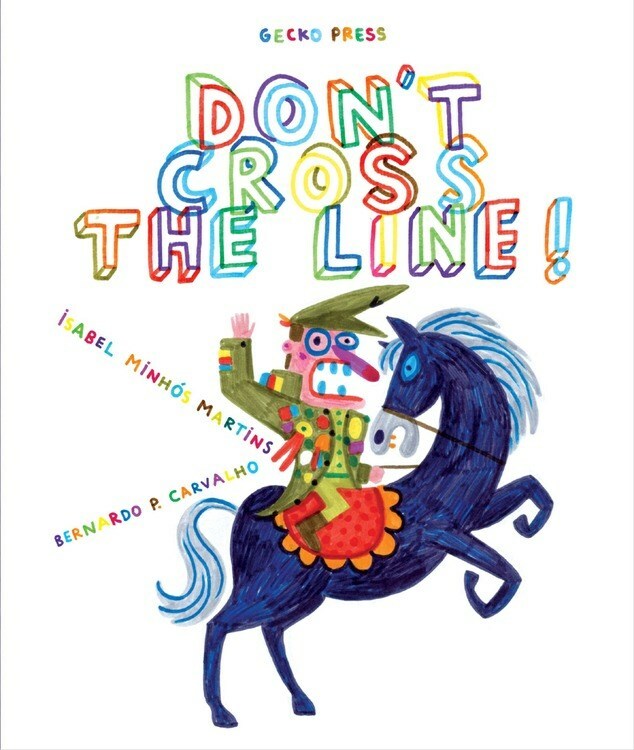 I also love books that let them stretch and play with their ideas about language. Adding to my library list again - hooray! Thank you Matthew. Was just listening to an All The Wonders podcast before lunch. Such knowledge and insight! Thank you Matthew for being willing to share! What a fantastic selection! I'm thoroughly enjoying these choices. Thank you, Matthew, for your insight into each of these special books! Matthew, thanks for highlighting the wording and voice in these books, a few I get to read for the first time. I love your approach to picture books. Each word is so important! And we have so few to work with. Thanks for the insight into the PBs. I'm going to the library this week! Thank you, Matthew! Thank you, Matthew, for the selection of books with amazing words to study as mentor texts. Thanks, Matthew, for the reading suggestions and for the reminder of the importance of word choice. Just what I needed to hear! Matthew, these were great choices! I enjoyed reading them! Thank you for the reading list... some great titles I have yet to read! Thanks for the inspiring post! I want to both read and revise! Right now! What a great post, Matthew! Thank you! I've only read a couple of the 10 you recommend: Du Iz Tak? And BunnyBear. And I love both of them (the bug language one has become an all-time favorite of my grandgirls). I'm going to see what the library has and can get for me. Will definitely be thinking of all of these things as I work on my current manuscript. Thanks for the great list of books and what to look for with each story. All I have to say is Du Iz Tak? Wow! So fun and interesting. I'm language obsessed too and I am going to love studying these books! Very thoughtful post! I look forward to reading all of these selections! Thank you for your insights! Thanks for the book list. My library had the all! They all say to me—sometimes less is better! There are so many great book choices on your list. They have variety and unique characteristics! Thank you, Matthew! Thanks, Matthew! Love All the Wonders! Fan of All the Wonders and of your text choices for this post. Thanks for sharing your insight! A perfect post, Matthew! I love how you chose one main element for us to look for. And now I've got 5 more books that are must-reads (I've already read the other 5). Thank you so much!!!! Wonderful post. Writing picture books has made me more selective in the words I use anywhere. Thank you. Looks like a great set of books to read. I'm checking them out at my library today! Love the recommendations and the highlights of each author's use of language! Thank you for this list--and the teasers that make me want to read them all right now! I'm already brainstorming ideas, and I haven't even read them yet! I'd like to thank Matthew for introducing me to Worm Loves Worm. That one blew me away. 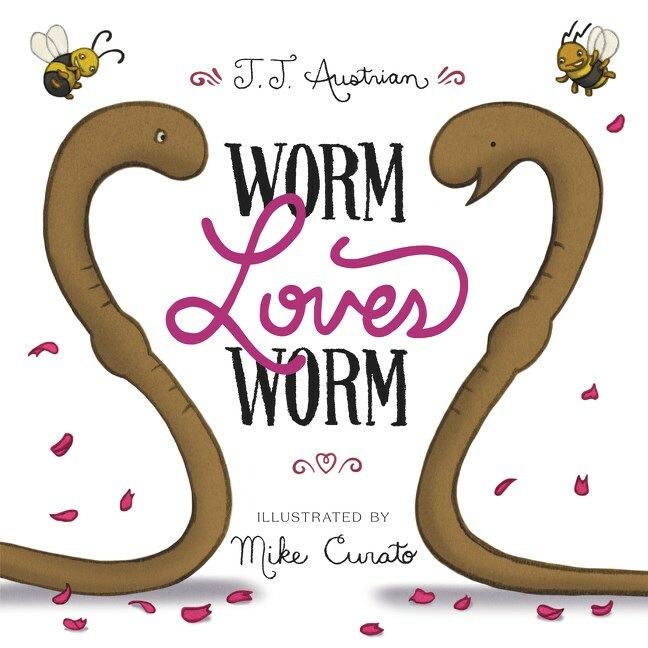 What a perfectly worded and constructed timely picture book, because what the world needs now is love, even from 2 Worms. I immediately recommended this book to all my friends w children. It's such an important story to share. In addition, I really like how you flat out state that what matters is the words-the language. The speak of the book. Doesn't matter if it rhymes, what the word count is, who tells the story, etc. as long as the story is told right. So valid. Great examples matching voice/words with characters. 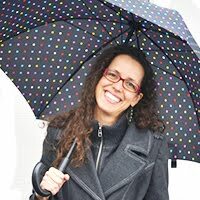 Full circle day: I also stumbled across a wonderful interview with Andrea J. Loney. I CANNOT wait to get my hands on these books. Thank you, Matthew, for the stellar list! Thanks for the great suggestions, looking forward to reading the ones I haven't already read! Excellent post and mentor text reading reasons. Thank you! Thanks for the recommendations! I've tracked down some and loved them--Worm Loves Worm, They All Saw a Cat and Du Iz Tak especially so far--can't wait to read the rest! Aaahhh All the Wonders! Please tell Blake I said hello. ;) I, too, am obsessed with language and words. My son and I have a list of underappreciated and underutilized words. He's 20 now, we started years ago. Great post, Matthew. Thanks for the list of mentor texts and your perspective on what makes the language work in each book. I can't wait to read them. Thank you Matthew! I love your "Read For" analysis and insights! Wonderful post!!! Every word counts, how true and I love your insights to how these authors used language. Thanks Matthew. Fantastic Mentor texts! Thanks Matthew! Lots of new books to read! Thanks! Love this list! And love how your "reasons to read" sing just as much as the PBs you are describing. Thank you for reminding us to choose rich language and luminous words. I can't wait to read (and reread) your selections, Matthew! Thank you! I've been thinking about what is essential to my story and word count and this post reminded me that the right word choice is more important. Such a simple concept, yet one that makes all the difference. Thanks for the mentor texts to study and the reminder, "It's all about the word choice!" So many fantastic choices, Matthew! I loved Shel Silverstein's Lafcadio as a child for it's wonderful language, and the meta language love when Lafcadio muses on the word "marshmallow." Another favorite for its Blakian wordplay is Ounce Dice Trice - which also features drawings by one of my all-time favorites, Ben Shahn. Great list! 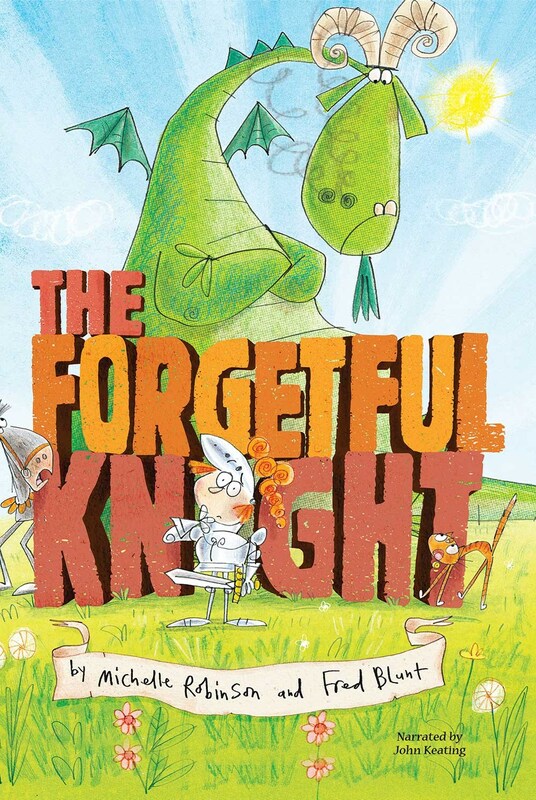 The Forgetful Knight is so unexpected, and perfect for read-alouds. But I truly loved Worm Loves Worm. What a perfect message for our time. Such solid, concise notes on a great list -- thanks Matthew. Thank you for your insights. It's good to read for different perspectives. I enjoyed going through these books word by word. Thanks for sharing. I love your attention to the importance of language, and thank you for such variety in your selections. Thanks for the reminder to make every word count and that a lot can be said in few words. I enjoyed your selections, most of which are new to me. Ooko made my daughter and me laugh out loud--love it! THANK YOU for the WONDERFUL examples! I CAN'T WAIT to dig in to each of these for a closer look! I read all the books you recommended in the 12X12 webinar. I appreciated each one. i look forward to reading these as well. every word counts. Fascinating discussion of the use of language, Matthew! Thank you for sharing and I can hardly wait to get my hands on all of these treasures. Thanks for the great list of books, and why they resonated with you! Time to start reading. 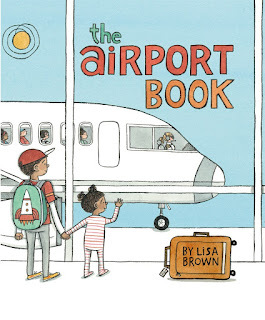 Lisa Brown has certainly captured the busy-ness of the airport in, "The Airport Book". She even includes someone constantly chatting on the phone. I love the suggested books! Have my stack to read at home... but reading this post at the ER while my dad is getting checked out. Thanks for the inspiration! I love the "read for" suggestions. It's nice to see what someone especially loves about the mentor texts! What a great list! I always learn something new from Matt's insights! Ill study these books for the language. Thank you Matt! Wow, all books I hadn't read before! Thanks! Can't wait to get my hands on these books! Thank you Matthew for pointing out the different uses of language! I haven't gotten to read a couple of these yet. Anxious to get my hands on them. Thanks for the post!! Can't wait to read the ones that I haven't read yet! Enjoyed these fun reads. Thanks! Thank you, Matthew, for such a thought-provoking post. Looking forward to studying these books! Thanks for the great book list- and what to look for as I read (or re-read) them! Worm Loves Worm was one of my favorite books read last year--so spot on. I also loved They All Saw a Cat. Brendan Wenzel has been on my favorite illustrator list for quite some time. 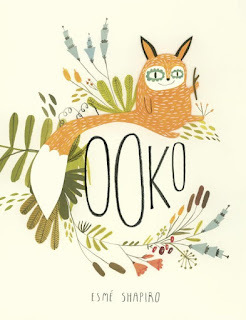 Looking forward to reading Cat Knit & Ooko. Thanks, Matthew! Thank you for the breakdown of why these work for you! I look forward to reading and rereading. Thank you Matthew for a great list of books to read and to learn from I love language too. A terrific list of books to study for their use of language. Many thanks. Your post is much like the books themselves, spare but focused and perceptive. Book choices require more reading on my part. A fantastic list Matthew, thank you. Can't wait to go read those that are new to me. I loved these books. I'm still having a hard time connecting with Iz Du Tak? I'm going to reread that one several times I think and see if I change my mind. Is anyone else having a hard time connecting with that one? I will be going back to this one often. What text choices to tell the story? Thanks, Matthew. Excited to check out the titles that are new to me--thanks!! I also notice that all of these are high concept. The language is just icing. Thank you so much for these great recommendations and things to look for. 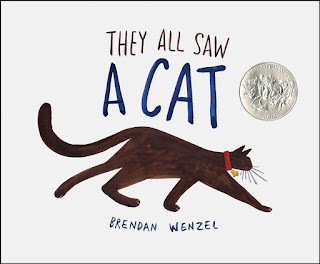 I never tire of reading "They all saw a cat" aloud because it can be like an acting exercise--the meaning/emotion changes each time the phrase is repeated. Although my sons are 15 and 22, they know they are never too old for their mother to read them a good picture book. Thank you for two new favorites, one for each of them: Bunnybear and The Airport Book. I enjoyed the entire list. Excellent list with reading tips to improve craft! Thank you, Matthew! So many books, so many different things to offer the perceptive reader/writer. Thanks for noting the key elements behind your selections. Oh the power of the words we use... The language of storytelling is an art. Thanks for the insightful comments and the helpful book recommendations! Can't way to use some of these as mentor texts when drafting a new story! I'm a fellow word lover (and All the Wonders fangirl). You picked perfect examples of different types of language, real and made up, that make a book magical. Thanks! What a wonderful list of books. I especially appreciate your pointing out what to read them for. I haven't read them all, but I'm trying to get my hands on the missing ones. Especially OOKO. I want to learn more about "Debbies." And BUNNYBEAR is on order at my library. I don't know if I can wait that long. Thanks, Matthew, for the thoughtful post that reminds us that each word is as precious as an artist's brush stroke. Thank you for the recommendations, Matthew! 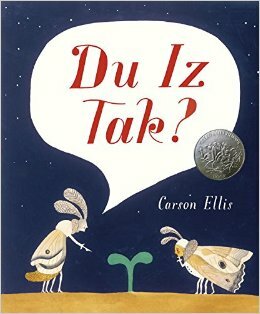 I loved Du Iz Tak and took a bunch of these out from the library today! Look forward to reading them! Matthew, thank you for these insights and suggestions on how to read these books and what to look for. So very helpful to this new writer. Looking forward to reading more. Are You Ready for ReFoReMo 2017? ReFoReMo 2017- Registration is open!